Although banned Indian bowler (pacer) S Sreesanth has expressed his desire to play for any other country citing the reason that BCCI has banned him, not the ICC, BCCI acting president CK Khanna has clarified by saying that as per ICC rules S Sreesanth cannot play for any other country. 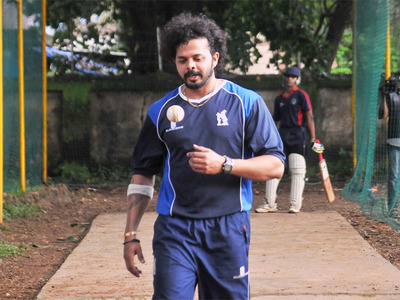 S Sreesanth has expressed his desire and possibility to play for any other country following the declaration by a division bench of the Kerala High Court that the lifetime ban imposed by BCCI on S Sreesanth will still continue. According to acting president of BCCI CK Khanna if a player is banned by his parent body (BCCI in case of Sreesanth) cannot play for any other country, as per clear ICC rules.